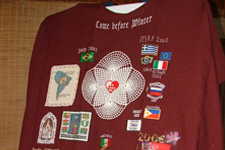 One of the Come before Winter traditions involves leaving behind a cloak when the team departs. 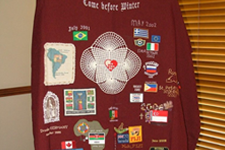 As Paul left his outer garment in Troas (2 Timothy 4), so a missionary on each Come before Winter team leaves a symbolic cloak in the possession of one of her peers who has attended the renewal. The woman who is selected accepts the responsibility to “bring the cloak” to the next event. 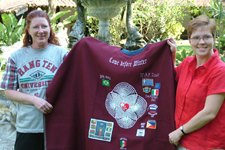 Originally left in Brazil in the possession of Robin Dutton, missionary to Campinas, the cloak continues its travels around the world. 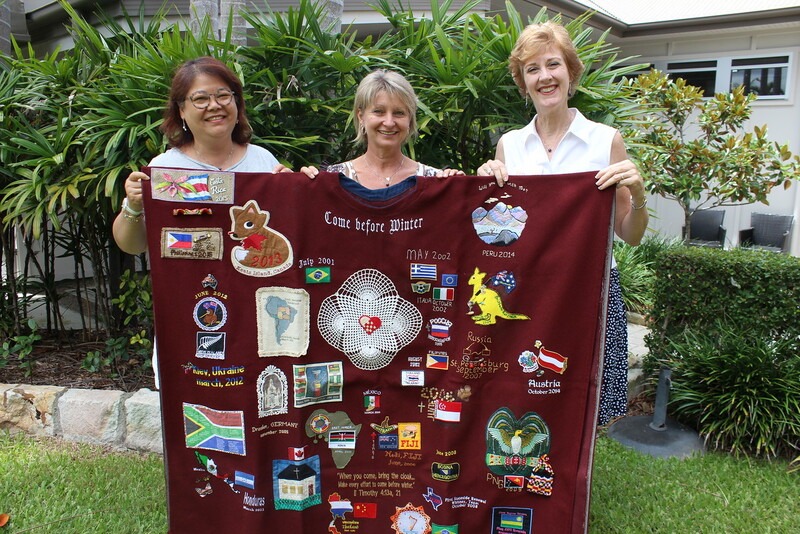 During each of its stops, the cloak gains pieces of local flavor and the flag of the country where each renewal is held. One of the most enjoyable moments at each renewal occurs when the Missionary Ambassador unveils the cloak, complete with its latest additions. Watching the cloak evolve and seeing the eagerness with which these ambassadors embrace this tradition blesses the team and testifies about the rich fellowship and unity that exists among women who serve Christ. I wasn't sure what to expect at Come before Winter. It was self-described as a renewal and it was just that. For me, it was better than a retreat or conference, because a spiritual renewal was just what I needed. I so appreciate the opportunity to walk alongside other women in all seasons of life and ministry, from all over the region, and serving in various contexts. Despite all our variations, we came together in unity focusing on our commonality in Christ. What a blessing and rich experience CbW was to me. 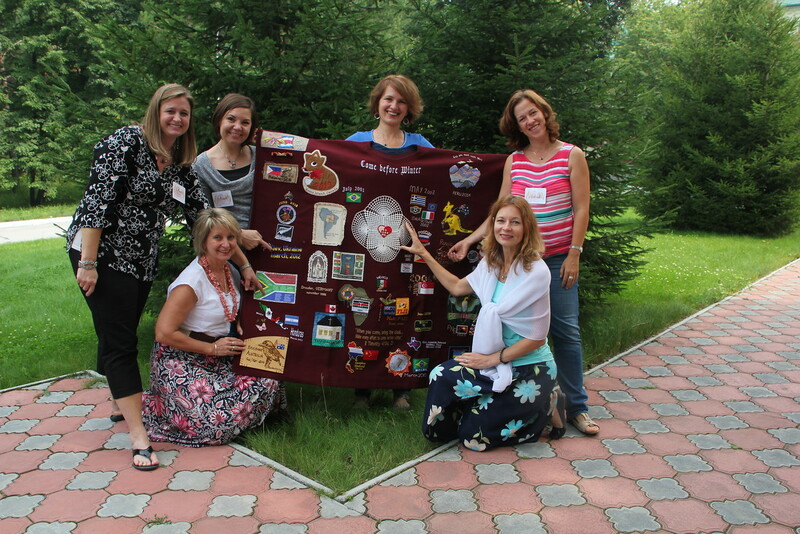 I am grateful for the staff who came prepared and competent, and poured into us all week. And I'm very thankful to all the donors who make this possible for women like me to attend.